California’s child care system is broken, underfunded, and inaccessible. 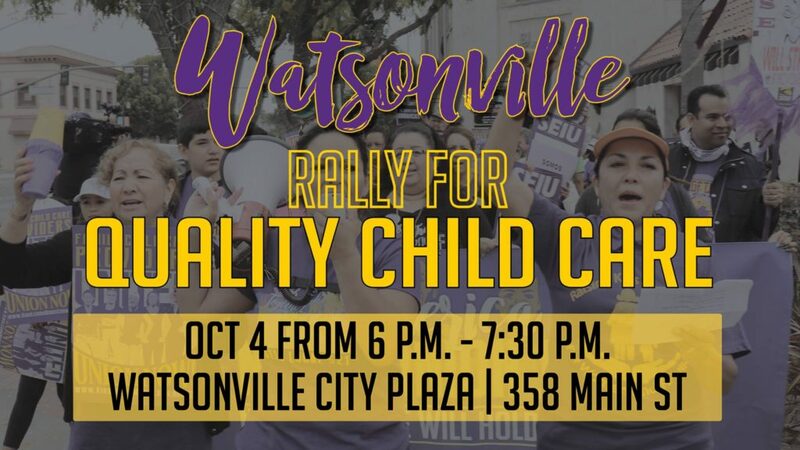 On October 4th, SEIU 521 Region 2 – Santa Cruz, Monterey, and San Benito counties will be at Watsonville City Plaza fighting to make California’s child care system work for everyone. Click here to learn more!